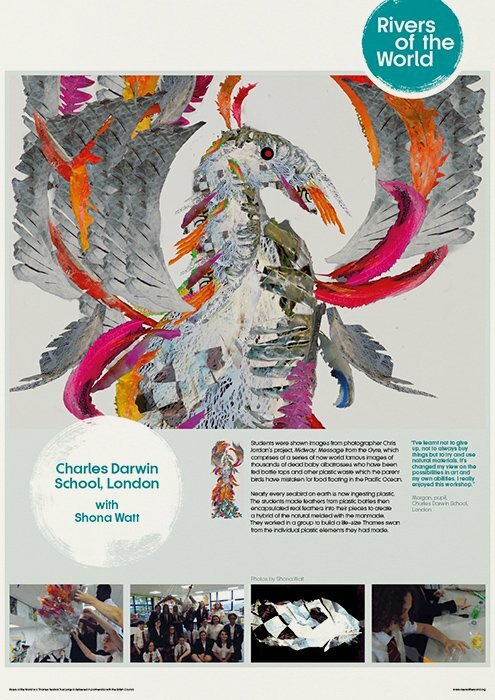 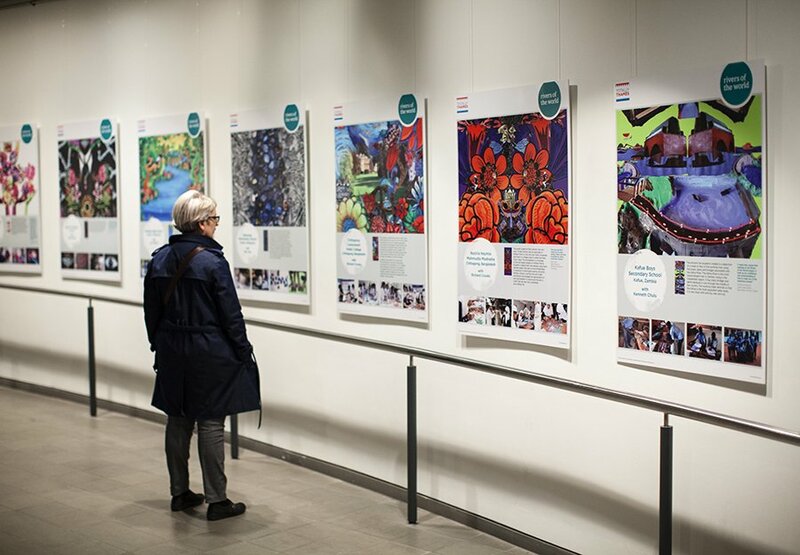 Staged by Thames Festival Trust, Rivers of the World is a major international arts and educational project which showcases the river-themed artworks of 64 participating schools from seven countries around the world. It’s the sister event to another Intro project, Totally Thames, a festival of events running throughout September, all associated with the River Thames. The Rivers of the World artwork is displayed on totems, along the banks of the Thames through central London, during Totally Thames and also at an exhibition in City Hall. 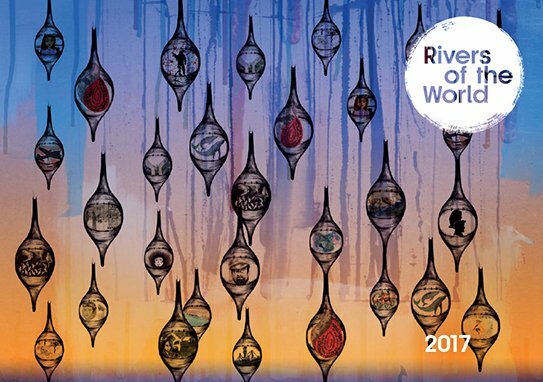 Intro was asked to design an identity for Rivers of the World, to position it as a close relation of Totally Thames and to design totems for the artworks, the City Hall exhibition and an accompanying catalogue.